Long Refillable ink tank[150ml] @ RM600.00. Enjoy convenience of less-frequent ink purchases with super high-yield InkBenefit cartridges. Print Up to Blk 2400 pages and C/M/Y 1300 pages with original ink .Plus, save valuable time as you can still print in black even if colour cartridges run out. Published by chooi PC, in .4)_ INKJET Compatible Cartridges -[ LONG REFILLABLE CARTRIDGES / INKJET CARTS.]. Remark: carry with chip, only applicable for one time use. 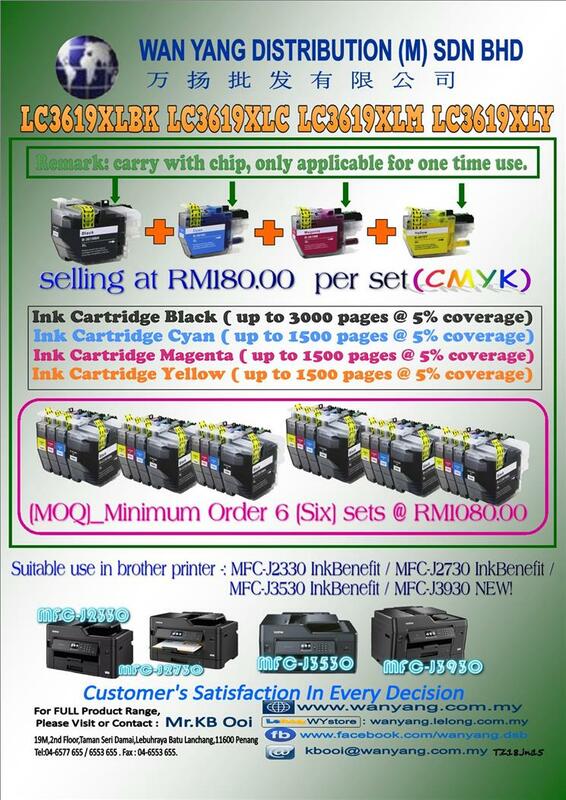 Suitable use in brother printer -: MFC-J2330 InkBenefit / MFC-J2730 InkBenefit / MFC-J3530 InkBenefit / MFC-J3930 NEW! HP Officejet Pro 8100/ 8610/8620e AIO printer. HP Officejet Pro251dw/ 276dw printer. 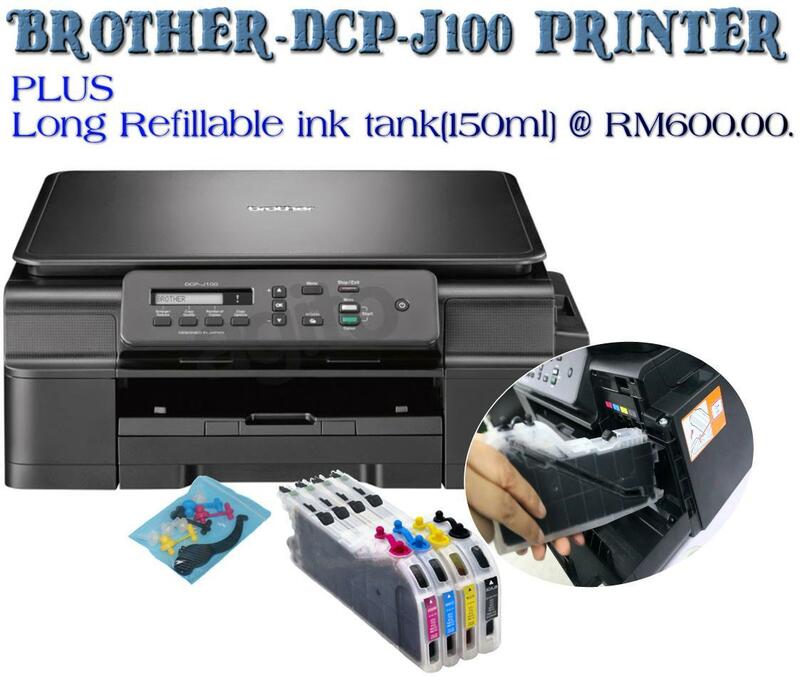 for Brother DCP, MFC printer model: refillable ink cartridge with prefill ink . 2.It adopts No-sponge structure to avoid damaging the printer head because of cartridge aging. 3.Environmentally friendly: Go through HSF test, safe and no pollution to the environment. 4.Import equipment, and use quality imported PP material, ultrasonic wave welding.anti-corrosion can hold solvent inks etc. 5.Low cost:Transparent refillable ink cartridges,could be used repeatedly,And have special pigment or dye inks,save printing cost a lot then to use original ink cartirdge. 6.Stability: injection moulding, no air leaks,no ink leaks ,no shape changes ,stable quality. Published by admin, in .4)_ INKJET Compatible Cartridges -[ LONG REFILLABLE CARTRIDGES / INKJET CARTS.]. Refillable Ink Cartridge Compatible Epson B300/ B500 / B310/ B510. Come With Auto Reset Chip.